Better late than never to start finding your passion! To me, there is no greater feeling than the rumble of a bobsled thundering down the icetunnel, hugging every turn and reaching speeds up to 90 miles an hour. 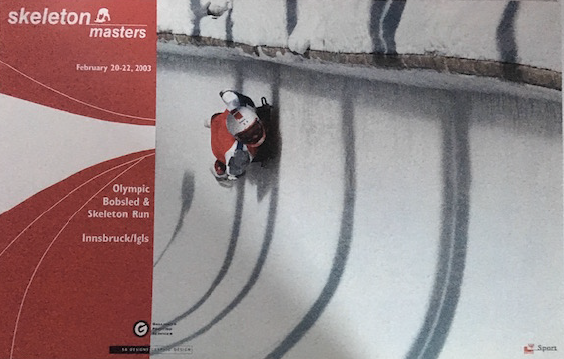 I was lucky enough to be a part of the first U.S skeleton bobsled team and I competed regularly the U.S and in Europe from 1984 to 1996. When I was young I really enjoyed running track. I didn’t start skeleton bobsledding until I was in my early 30s, which is much older than most athletes when they are beginning their sports careers. Better late than never to find your passion! Skeleton sledding starts with a 40-meter sprint before you jump in and take off. As you barrel down the ice tunnel headfirst on a 160-pound sled, your body is completely exposed. When I first started, I rememberhaving to explain what I did to my American friends. At that time, the sport was popular in Europe but not yet widely known inthe U.S. My friends and I wanted to change that, we knew there would be many U.S. athletes who wanted to be a part of it. I also remember my wife thinking I was crazy to be dedicating myself to an unknown sport that didn’t have much respect in the winter sports circuit. But we had a dream and it came true when skeleton bobsledding was first recognized as an Olympic sport in 2002. I met so many amazing people along the way, and collected a lot of wonderful memories. But I also collected some significant knee pain. As an older athlete, I was afraid my body could not keep up with my athletic life anymore. Over the course of my athletic career, I have had a series of knee problems. After my ninth knee arthroscopy procedure, I started to realize I might need a knee replacement. I did my research and met Dr. Wolfgang Fitz at Brigham and Women’s in Boston, who was using a fully customized knee implant designed to each patient’s unique anatomy. I liked that idea and Dr. Fitz replaced both of my knees in two procedures four weeks apart. My left knee was in especially rough shape, and he had to use cadaver tissue to repair my ACL. Throughout my recovery my wife took on the role of caretaker, helping me manage the pain and handle physical therapy to get moving again. I was in PT for about 24 weeks. Luckily, I was able to see my therapist in our own home gym. One of the key things I learned from this experience is that when it comes to taking action to end knee pain, there isn’t an age requirement! When I first started talking about a knee replacement, I was in my early 60s. And many doctors told me I was too young! (Usually that’s a phrase we like to hear, but not this time!) I refused to believe that my only option was to live in pain, and boy am I glad I asked for a second opinion. My procedure went well and I am able to be active again. Dr. Fitz and my therapist told me they were impressed with my recovery, but I think being relatively young and an athlete together with choosing a customized knee are the reasons why I feel great! These days I feel like I am back to my normal self. I have a surplus of energy and need for adventure! 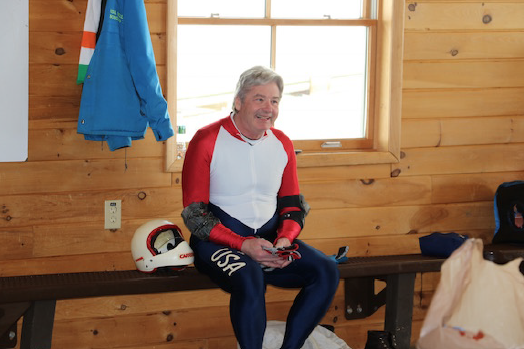 Last March, I reunited with the 1984 U.S national skeleton bobsled team in Lake Placid, New York where we competed in the masters’ bobsled race. And while I was sore for days after, I came through with flying colors. Taking action to stop knee pain can let you enjoy the things you like to do for many more years!